Isn’t that somehow a metaphor for life in general? One mountain after another to climb, sometimes in search of entertainment, or warmer weather, or cooler weather, or to find what isn’t on this side that may be on the other side, to cross summits that seem insurmountable, and then suddenly there we are, over the mountain. I’m old enough to remember that old song “The Bear Went Over the Mountain”, and I have been over many of them, both physically, spiritually, and metaphorically. It’s a climb, but the other side of the mountain usually has great treasures and rewards. I am thinking of Sherry and David as I write this, climbing their own huge mountain, right there in Florida where there are supposedly none to climb. We went over the mountain last week, and even as lovely as the world is around Rocky Point, there was stuff on the other side that we wanted to experience. For once it wasn’t just a much needed trip to Costco that drew us over the pass. Not far west of Medford is the small historic town of Jacksonville, Oregon. Jacksonville stands completely on its own merits, with lots of cute little shops on the picturesque streets, and neighborhoods full of cute little Victorian cottages and Craftsman bungalows. If I chose to live on “the other side” I would choose Jacksonville, except of course everyone else has had the same idea, and I can’t possibly afford anything remotely near Jacksonville. Beside, Josephine County and Grants Pass have the lowest tax rates in Oregon, much less than Jackson County and the Medford/Jacksonville world. Someday we will move to the other side of the mountain for good, but in the mean time I appreciate every single minute of my mountain home. Snow, winter, mosquitoes and long treks to town notwithstanding. In addition to its lovely setting, Jacksonville is home to the Britt Festival, this year celebrating 50 seasons of concerts under the stars. The shows run from June through early October every year and the lineups are often legendary. The music is eclectic with all sorts of genres represented and Mo and I try to see at least one show a year. Often we choose blankets on the grass where we follow the tradition of a picnic pack filled with wine, cheese, crackers, and grapes. This year we decided to see Melissa Etheridge, a crazy rocker lady I have always loved and Mo didn’t much care about. It was a great show and I had a great time and Mo even enjoyed Melissa’s incredible musical talent on the 12 string guitar and piano. The audience was mostly on their feet during the last 1/4 of the show. Of course, Jacksonville is maybe 90 minutes away from home, but what better chance to spend a little time in the MoHo. We thought it would be a lot more fun to go home to the rig than drive over the mountain after wine and music so we planned a couple of days at Emigrant Lake just east of Ashland and not far from Jacksonville. Paul and Nina reviewed this great Jackson County Park a few weeks ago in April when the crowds were still nowhere to be found. When we thought of the idea, it was already too late to make a reservation so we decided to take our chances. The week beforehand was a long and crazy one, with a full fledged field review in progress for my survey. I worked long days with Chris and the crew and then on Thursday Dave Smith, the regional leader in California (and my old boss) came up to visit with the Oregon crew. It’s probably too complicated to explain all this, but there is a huge reorganization going on and the Klamath Falls office is to become part of a completely different region, one headed by Dave in California instead of the leader in Portland. It is an administrative and technical nightmare coming up, supposedly put in place to save money, but no one has a clue how that will actually happen. All to begin on October 1. But back to the trip to Britt. I had the review going so Mo had to do all the loading and hooking up and packing since I was gone long hours. Then, on Friday, I begged off the last day of the review because I had a quilt class…clear down at Tater Patch in Merrill (about 1/2 hour south of Klamath Falls). Now this is a really big deal because I had to prepay for the class months ago, before the review was scheduled and long before we had tickets for the Britt. No skipping this one! The class fills up right away and the waiting list is long. I had my three months of waiting and was really looking forward to it. Confusion set in as we tried to figure out just how to manage being in three places at once. Finally settled on a scheme, and I drove the Tracker and kayaks to Klamath and then to Merrill early in the morning, and Mo left for Emigrant Lake with the MoHo and the animals early enough in the day to get a site. Or so we thought. 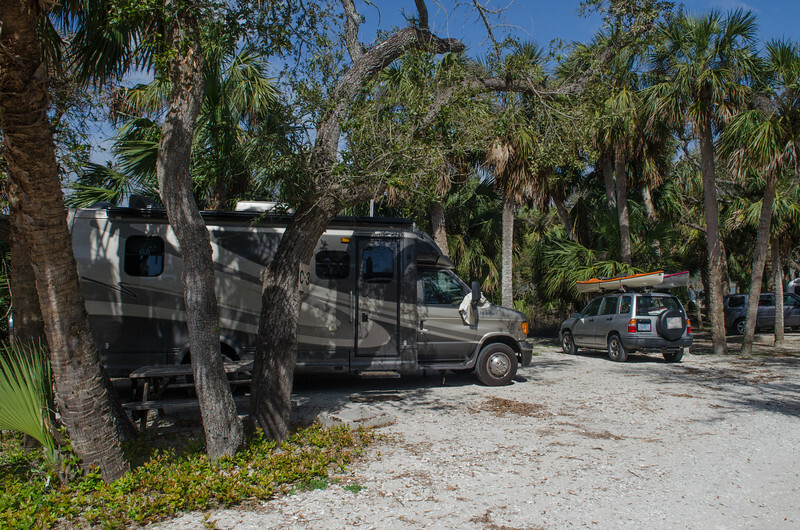 When I finished my class at 4pm, a message from Mo said the park was full, it was in the high 90’s so boondocking with the animals was out of the question, and she was settling in to Pear Tree RV Resort along the interstate…with full hookups, lots of pavement, and freeway noise. Hmmm. The park served its purpose, but was so unexciting that I neglected to even take a single photo while we were there. Now leaving Merrill at 4 meant I had just two hours to get to over the mountain to Ashland, find Mo and the RV park, change clothes, and then get to Britt by 7. Whew! It was one of those crazy kind of days that I remember from having teenagers who often had to be in two cities (Spokane and Coeur D Alene, and we lived in the middle) on the same day for different things. I am definitely out of practice for that kind of thing! Somehow it all came together and we managed to be everywhere we needed to be when we had to. After the show we meandered along Old Stage Road right back to our little waiting home and I slept like a rock in spite of the freeway noise. The next morning we left the cat safely in the air conditioned MoHo and drove the few miles east to Emigrant Lake with the kayaks. Ahhhhhh…….. The lake is one that is easily visible from the interstate when driving from California into Ashland, and I have seen it for years and never actually driven down to look at it up close. In this part of the state, most of the lakes are reservoirs, but the water was still high enough that we didn’t have that ugly reservoir brown ring to look at. We found a free launch site at the southwestern edge of the lake, and while a bit muddy, the launch was simple. The lake was lovely, and that was actually a surprise to both of us. We had glassy water in the beginning, but a slight breeze came up, just enough to keep us cool and blow away any bugs. We paddled along the southern grassy end of the lake and then north to the campground so well reviewed by Nina. On this day however, every site was full with most sites already reserved for the following weekend and some even for the weekdays. We left the kayaks at the beach and walked the campground, checking out the various sites and the views and decided that a weekday visit might be fun and would give us a chance to check out the eastern arm of the lake that we didn’t feel like doing this time. By the time we got back to the rig it was mid afternoon and the temperatures were hitting the high 90’s. The park had a swimming pool, spa, club house and all sorts of other amenities, but the cool depths of the shady RV felt awfully good to us and we just settled in for naps and a movie and an easy supper. I didn’t even have any knitting or a computer with me and had to really relax. It is amazing to me just how relaxing it is to get away like this, as much as we enjoy our home and our space there, somehow cozying up in the MoHo is so different. No chores, no schedule, nothing at all that we have to do except kick back. ahhhhh……again. We took our own sweet time getting back on the road Sunday morning, leaving the MoHo on the northern side of Medford while we ambled up to Grants Pass for another look at property. Still hoping for that perfect site to build an RV shed and store the MoHo in the winter. While we haven’t found anything yet to fit the bill perfectly, we have a ton of fun exploring all the nooks and crannies of the small southern Oregon town. By the time we got home on late Sunday afternoon we felt as though we had actually “been away”. Another week of work for me ahead, with quilting homework in the evenings, a day-long quilt class on Friday, and then we will head south into California next week for another nice little camping trip at Lake Oroville with friends and fun and kayaks. I wrote most of this post last Sunday, and it is already Thursday afternoon and this blog is still waiting for photos. I can hear Mo outside mowing while I am in here plunking around on the computer. Sometimes I just have to get away from numbers and spreadsheets and maps and data and refresh my brain with a little bit of memory making. So in go the photos and with the push of the “publish” button, up goes another memory. I love May. It seems that no matter where I live, or where I am, May is the month that brings out the best in me. October is probably a close second. When I make travel plans for the best time to be just about anywhere, it is usually May or October. Sometimes, though, here in the Klamath Basin, May can be a mixed blessing. This year we had beautiful days early in the month, and of course, when Memorial Day rolled around, it decided to snow. I laughed and thought, “What’s new?” Snow in the basin on Memorial Day is only a touch more predictable than snow on the Fourth of July. Once we arrived home with the MoHo after our meandering Covered Bridge Tour, life just settled in to a daily routine of gardening, cleaning up “stuff”, and working at my “real” job. (I may not have that real job much longer after the end of the fiscal year September 30, so I am trying to appreciate it instead of complaining about having to go to work all the time). How dare I complain anyway!? The job is something I love to do and I get to do it from home in my jammies if I want to most of the time. I think it took the two of us the better part of a week to get the MoHo completely cleaned up after all our winter travels. It was nice to get her back home where I could really vacuum and scrub and clean the cupboards out, while Mo washed and shined the outside. She looks beautiful, (the MoHo) although now the spring pollen is coming and I see a light film of yellow on that shiny exterior, even with her tucked away in her shed. In spite of the sketchy weather, May is the month when Mo and I spend most of our time cleaning up what is left of winter and getting ready for the prettiest time of year. We live in a beautiful forest, and that beautiful forest means we have beautiful (or not so beautiful) pine needles everywhere. Lots of them. It seems we are raking pine needles year round and my least favorite job is picking pine needles out of the rocky paths that meander around the property under the trees. In the midst of chores, we took some time off for a little Mom’s day celebration at my daughter’s home. It was a beautiful sunny Sunday and it was wonderful to be treated to a lovely brunch and some delightful family time. The following weekend we attended the annual Taste of Klamath celebration. Our little town has a lovely theater, and each year the “Taste” benefits the Ross Ragland and we get to amble around eating amazing little bites of various restaurant tastings and drinking our ten tickets worth of wine. It is always fun, and as often happens, the sun left and the skies clouded up for the event. Thankfully, most of the food is now inside the theater and under big tents. The days flew by, faster than we could track, with lots of time spent each day working away in the gardens, raking, digging, planting, cleaning, more raking and more cleaning. In between, when the skies were rainy, I took some time to quilt and to knit, and even managed to finish a little blanket for an as yet unborn baby girl coming to Mo’s family. We traveled back over to Grants Pass one day to look around at some ideas for winter storage for the MoHo and pick up some plants from my favorite nursery, and discovered a magnificent restaurant on the banks of the Rogue River. The morning we left, the snow was coming down at home, but Grants Pass was sunny and gorgeous and it was a great respite from the cold. I had no idea there was such a beautiful park right on the north bank of the river and the Taprock Northwest Grill was incredibly beautiful. I could see why the town is touted as the “Best River Town in America”. There is nothing quite as wonderful as getting out on the water so close to home. So little effort, really, just the ability to walk away from the chores and take advantage of our beautiful location minutes from Pelican Bay on Klamath Lake. The snow on Mt McLoughlin was brilliant, the water was clear and the lake is up and the wocus had just started to bloom. We heard more birds than we saw, with blue herons, great egrets, and sandhill cranes all calling in the tall bulrushes but staying well hidden except for a single heron feeding along the edge of the marsh. I saw at least 50 white pelicans soaring high in the distance toward the north but none where we were paddling on this sunny morning. It was a perfect time on the water and once back home I happily finished up a few garden chores before relaxing into the evening. This morning we woke to weather alerts saying that the snow level is dropping to 4500 feet on Tuesday morning and the temperatures are dropping to 28 degrees. Sigh. I have just finished planting a ridiculous number of tender annuals in my flower beds and tomatoes and beans are in the greenhouse. The hot tub needed her bi annual cleaning and we thought it might be nice to get it done before the snow hits again. Mo repaired and painted the garden furniture while I finished scrubbing out the tub. It seems as though I have traveled to town entirely too many times this month, especially with gasoline still running 4.29 per gallon for regular here in Klamath. What’s with that?!? Only in the east has the price actually been falling but the news keeps saying how great it is that gas is going down. Down? not here! I still have been driving in to work a couple of times a week, and then having to make a few additional trips with the small trailer to pick up loads of nice fine bark mulch for the flower beds. On the way home yesterday, I stopped to check out the new interpretive signs installed along Highway 140 on Doak Mountain, my route to and from town. We do live in a magical area, and the signs reminded me again how special this part of the world really is. When driving that route so often, sometimes I just wish I lived closer to town and forget just how many folks would come to drive the Volcanic Legacy Scenic Byway for recreation. Even as many times as I drive this road, every time I come over Doak Mountain and look out over the lake, I feel a tug on my heart. It is home, it is beautiful, I am so lucky to live here. It takes about 5 minutes to get down to the boat launch from home. On a warm, sunny, gorgeous day, we looked at each other and said, “Gardening? Housework? Time to get the boats on the lake!” And that is exactly what we did. Who has time to write anything when waters like this are waiting just around the corner? I will write something soon, of course. Don’t want to forget what we have been doing lately! Till then…..